If you go to Users → select a user, you’ll notice that each user has a monthly performance graph. 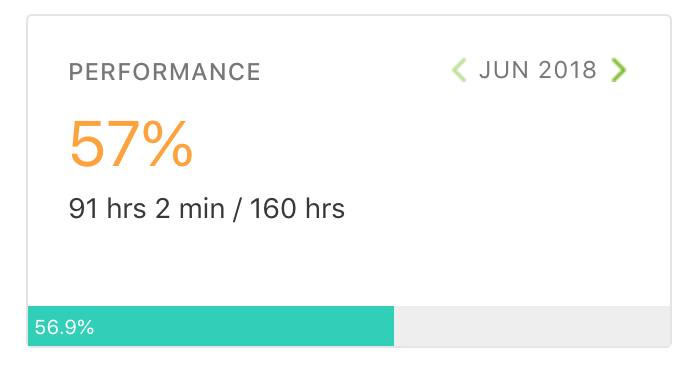 The monthly performance represents the percentage of total hours worked/tracked in Paymo from the maximum available hours (workday length multiplied by number of work days). If you’re viewing a current month’s performance, it will be calculated including the current day.